___ We developed an identity system that was applied across the entire exhibition – from signage to a tagging systems used in the exhibition catalogue and the website. It is playful and versatile although very systematically engineered. ___ The identity design is based on a three-dimensional hexagonal grid. 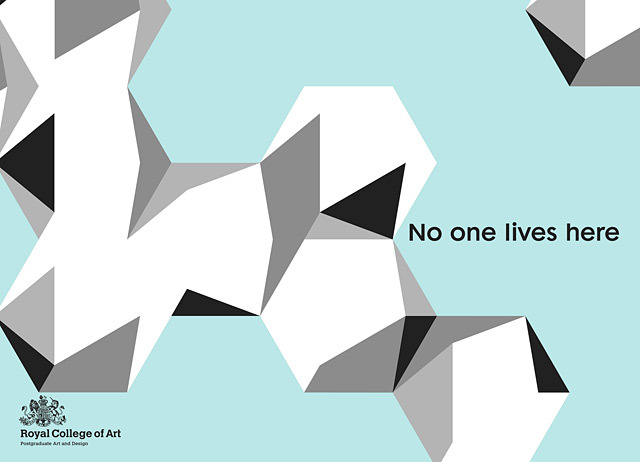 Each depicted 3D hexagon reveals 10 triangles and each triangle represents one of the 10 artists featured in No one lives here. 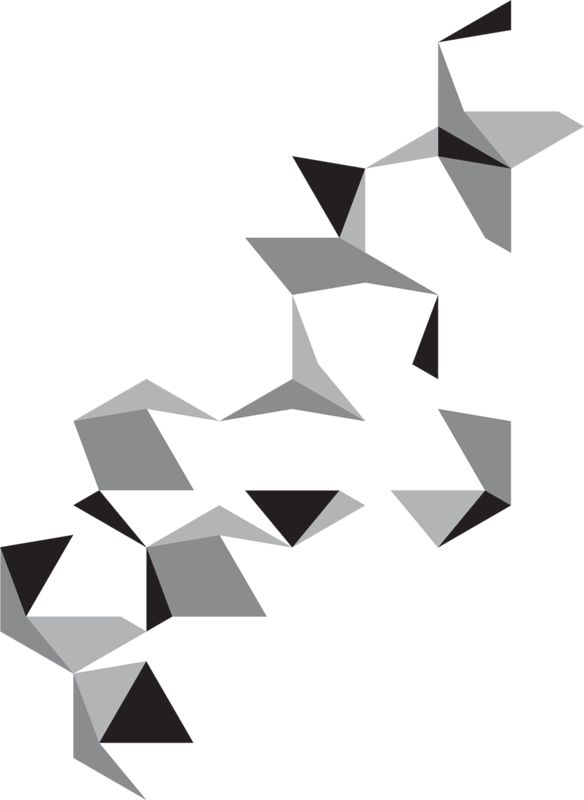 ___ The show is divided into five themes or 'tags' – Truth, Space, Data Politics, Narrative and Object – and these 5 themes are also represented by a shape within the depicted 3D hexagon. 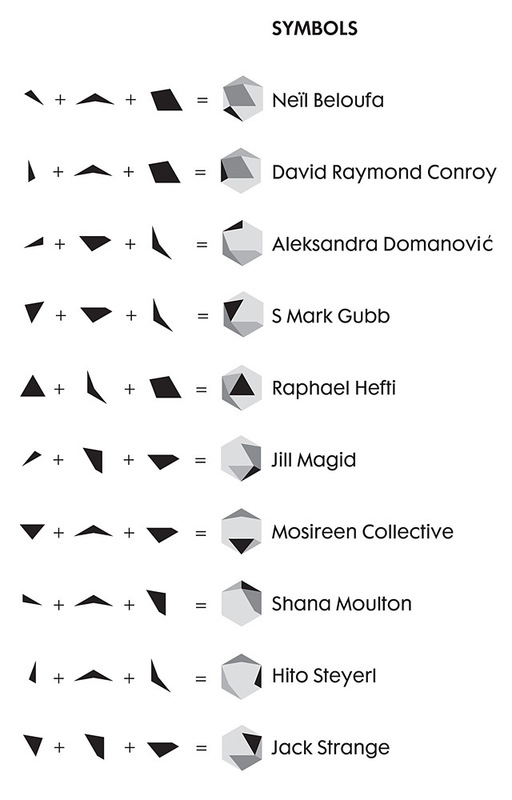 ___ As each of the 10 artists is linked to two of these 'tags' we combined these shapes with the artists' individual triangles – to create individual symbols that form the key ingredients for the exhibition identity. 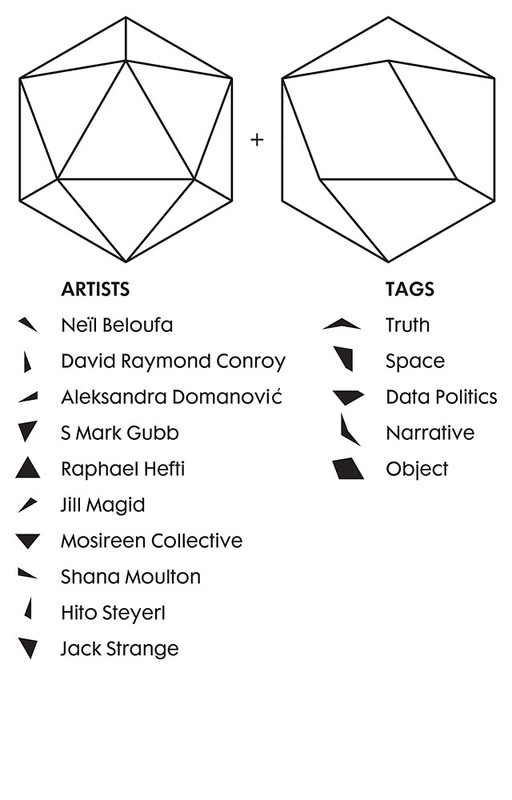 ___ The hexagonal symbols appear as individual tags next to the artists' names or form hexagon clusters – with all ten together symbolising the physical part of the exhibition. 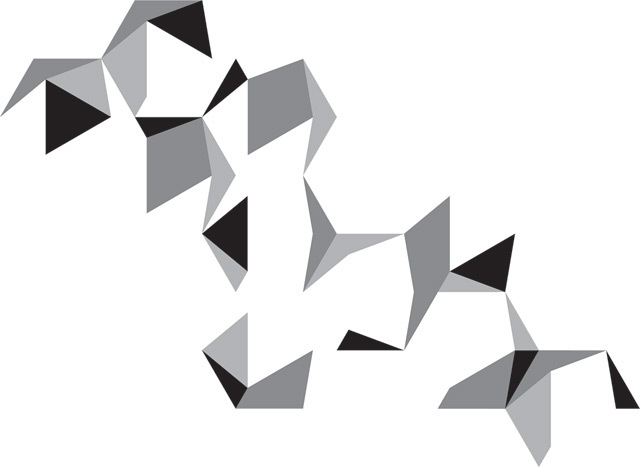 These clusters were also used in a more abstract way as seen on the catalogue cover and often the hexagonal symbols were then also cropped to suggest the evolving and sprawling nature of the show's subject matter. ___ For print and vinyl signage Futura Maxi (Futura PL / Fute) Demi was selected as the primary typeface combined with Futura Maxi Book. Online the non-existing Maxi webfont weights were replaced with Futura Heavy and Book.